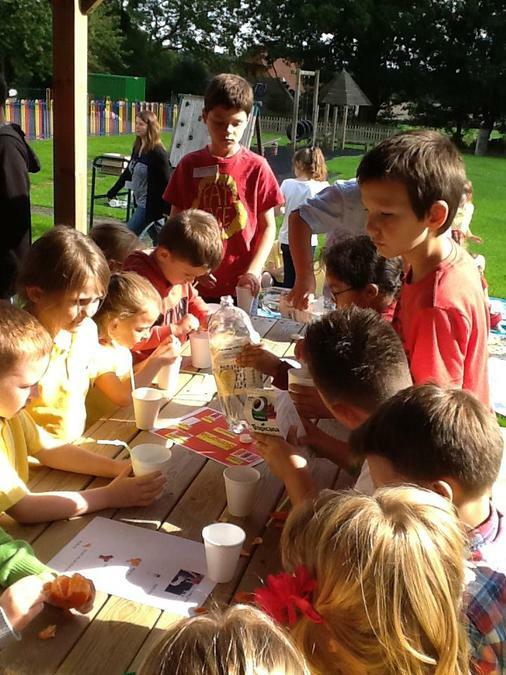 We had a wonderful time celebrating the different languages of Europe last Friday. 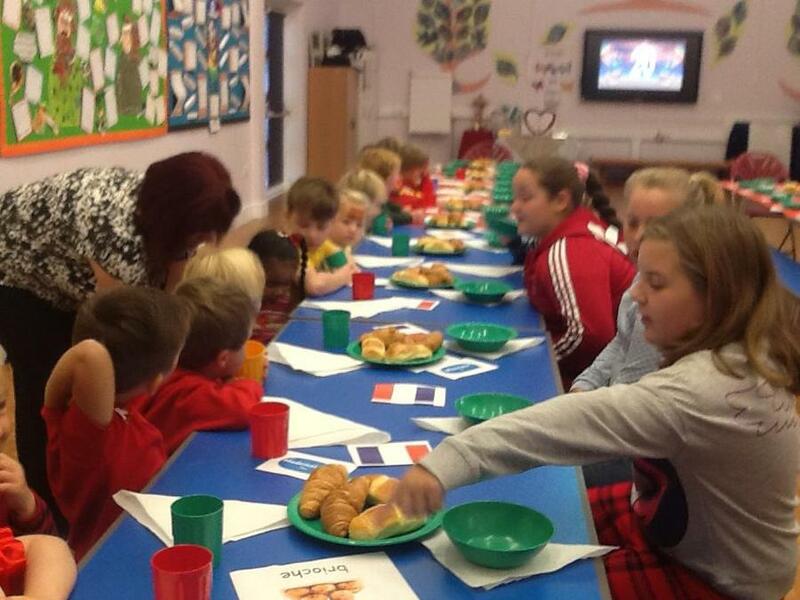 We kick started the celebrations with a French breakfast which we all enjoyed together. 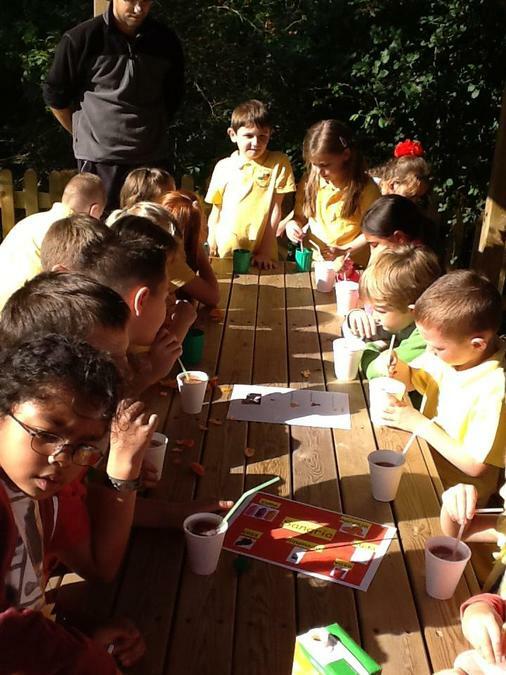 We ate brioche and croissants whilst drinking hot chocolate from a bowl! Of course the children asked for what they wanted in French. After break, the school received an exciting video message form a Spanish boy called Pedro. His family are thinking of moving to High Halden so we wrote him letters explaining what life is like in England. 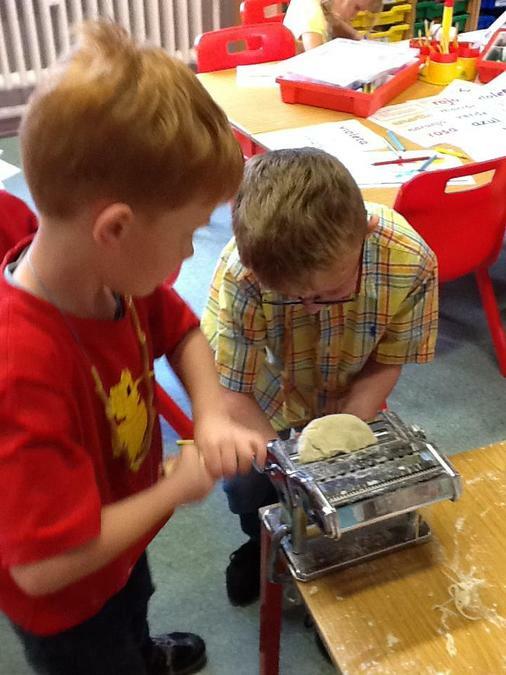 In the afternoon, Robins got really messy making fresh pasta, it was great fun! 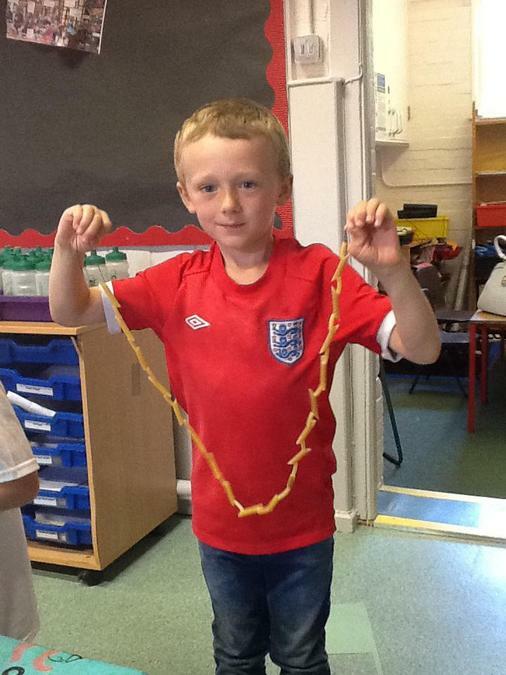 They also made some pasta necklaces whilst listen to Italian music. We ended the day on a high when we all followed instructions in Spanish and made Sangria. We really celebrated how fantastic it is to live in Europe, surrounded by different languages and cultures.